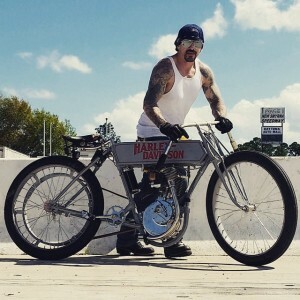 Sons of Speed Dominated by Daughters of Speed | Hupy and Abraham, S.C.
Bike builder Billy Lane is well known for his unique style of raw iron custom motorcycles and his many appearances on bike build-off shows on TV. He also has had some trials and tribulations that he has overcome in true Billy Lane style, and he’s back enjoying one of his passions, building and racing vintage motorcycles. Wanting to share his passion for vintage iron with other riders and the general public, Billy presented the first-ever Sons of Speed motorcycle race, utilizing vintage board track style motorcycles. Billed as the Sons of Speed, the race was held during the Daytona Bike Week festivities at the New Smyrna Speedway. 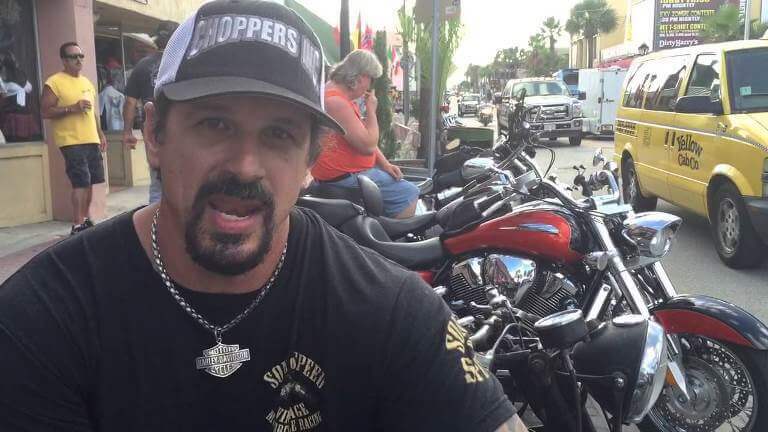 Joining Billy for the fun, among others, were Rick Petko from Discovery Channel’s American Chopper and Xavier Muriel, band member of Buck Cherry. Although Billy and some other rather famous bike dudes competed in the race, it was the women who attracted a lot of attention. Not only did the ladies attract attention, they also won the majority of spots on the winner’s podium. 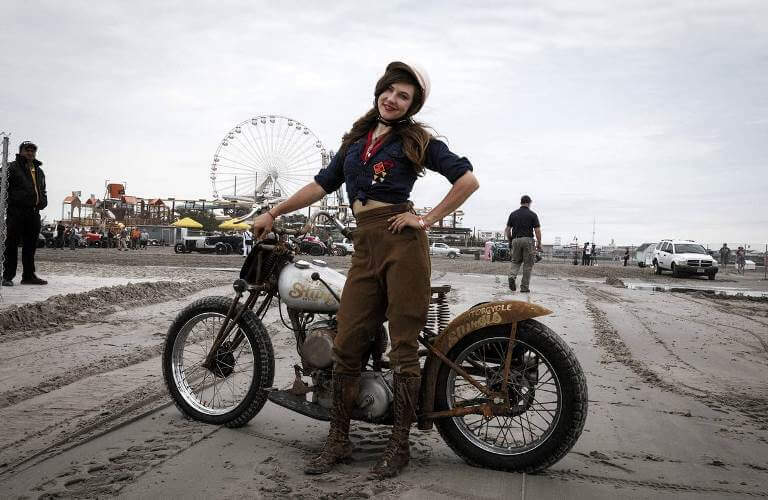 20th Century Racing rider Brittney Olsen captured the honors, being the first person to win a Sons of Speed race, although previously noted, she’s actually a daughter of speed, so to speak. Olsen held onto the lead in her heat race against Josh Owens, of the Moonshiners. He was riding Matt Walksler’s 1921 Harley, but didn’t quite have enough experience to overcome Olsen, who has also competed in the Hooligan races at Sturgis and the Race of Gentlemen in New Jersey. Buzz Kanter, owner and editor of American Iron Magazine, and a competitor in the Cannonball Ride, won the first heat on race day, becoming the first person to win a Sons of Speed race, although he didn’t earn a spot on the podium after losing later to Billy Lane, who also didn’t attain a podium spot. Another woman who won her place in history as a daughter of speed was Shelly Rossmeyer-Pepe. 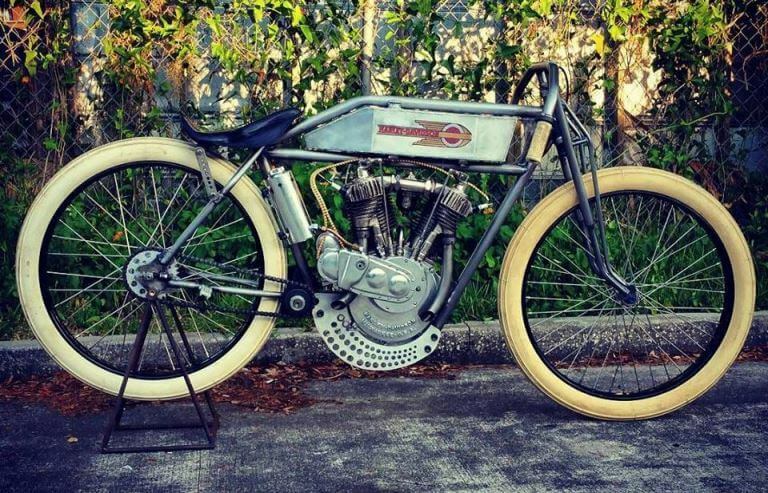 She rode her 1915 board track style Harley to a third place finish. Second place winner Matt Harris, on a 1924 “J” model, shared the podium with the two dynamic women. People who attend events like Daytona Bike Week and the Sturgis Rally are really missing out on a true rally experience if they don’t attend some form of racing at these events. After all, it was race competition that started the rallies in the first place. Congratulations and many thanks to Billy Lane and his team for putting on this spectacular event, a rebirth of a century-old tradition at Daytona.